Tales from the Archives: What does an archivist do? 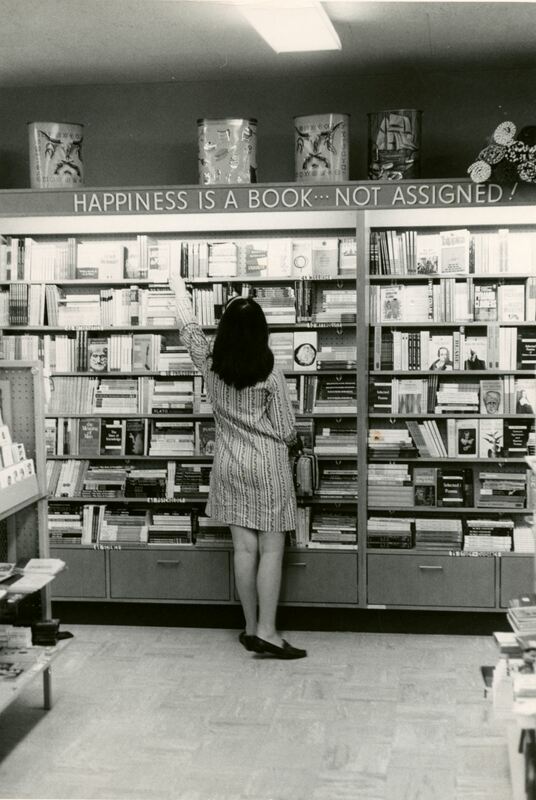 “Happiness is a book… Not assigned!” My favorite photo from the archives photo collection. What does an archivist do? This is the question that plagues every archives intern. But what I have learned from my experience as the Neil Hellman Library archives intern is how much people love Saint Rose. The history of the College reveals that the traditions of learning, growing and believing in one another are perhaps the strongest qualities of Saint Rose. The support of faculty, students and administrators has been present since the beginning in 1920. What the Saint Rose Archives does is outline the community that the College has created; it’s in the maps, the yearbooks, the photos, the newspapers and the books. The history of the College would not mean anything if not for the students, past and present. Every student that comes to Saint Rose dreams of achieving similar goals: to develop abilities, acquire knowledge and the ultimate goal of a meaningful life. 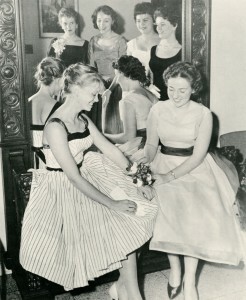 Rosebuds sitting at familiar bench admiring wrist corsage at Senior Ball from 1961 yearbook. On my first day in the archives my supervisor Maria Kessler McShane took me to the special collections. This locked room on the third floor of the library reminds me of the second rule of the archives: what‘s in the archives stays in the archives. This means that the materials in the special collections are non-circulating. The special collections is cool, literally, the room must be at a certain temperature to maintain the quality of the materials.Two of my minor projects this semester were digitizing the college’s online photo collection and writing supplements to the oral histories. Any romantic would love to look through the photo collection. The boxes I looked through were all from the 1960’s. This was a fascinating time in Saint Rose’s history, filled with so much change, the college went co-educational, non-denominational, there was an increase in “day-hops” or commuter students and the college expanded physically buying more property and building the Events and Activities Center. Out of all of my projects this semester I think I learned the most about the college from listening to the Oral Histories. All of the interviews I listened to were from Sisters who spent decades teaching at the college. Their passion for learning is awe-inspiring; most of the Sisters while teaching were students themselves and achieved Ph. D.’s. The archives is an abundance of information. And yes, I looked in Jimmy Fallon’s file. 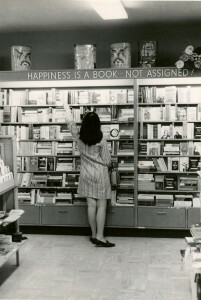 Anything you want to know about Saint Rose is in the archives. 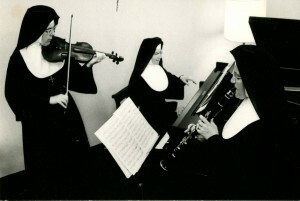 If you want to see a picture of nuns playing instruments, it’s in the photo collection. If you want to see the Rose Day procession from 1939, it’s in the video collection. If you want to read the first edition of the first student newspaper The Arrow it’s in the newspaper collection. Maybe I’ve become a nerdy archivist intern, but that somehow seems redundant (like all archivists/ librarians are innately nerdy). And that is something so wonderful because of the archivist’s love of sharing the past with the future. From the archives photo collection.